As everyone knows our Dato just had his final olympic match last night and won the Silver medal. Before the match, some of our franchises and stores announce there will be free/discount if our Dato win a Gold medal, one of them is Baskin Robins. Honestly, I don’t really bother bout the free Baskin Robins or free holiday but it’s sad to see some people who went and blame Dato Lee for his lost and they not be able to enjoy free food. =.= Gosh, I feel like flipping a table of poisons on them. Where’s the respect for the one who manage to get our flag raised in the Olympic games and our first and only Olympic medal. I don’t usually watch sports or matches and only check out the result after that. I have to agree that it’s the only time when everyone (most not all) who went and cheered for their nation representatives despite of their colors and political differences. Posted on August 6, 2012 by Jian Akiraceo. This entry was posted in Uncategorized and tagged Badminton, Dato Lee Chong Wei, DLCW, Olympic, Olympic 2012, Olympic Badminton. Bookmark the permalink. That what sport is; there’s a winner and a loser. He had done his best. We should be proud of him. Well, some people just brainless enough. Malaysia Boleh. Miao Boleh. Everyone Boleh. He is still our hero. 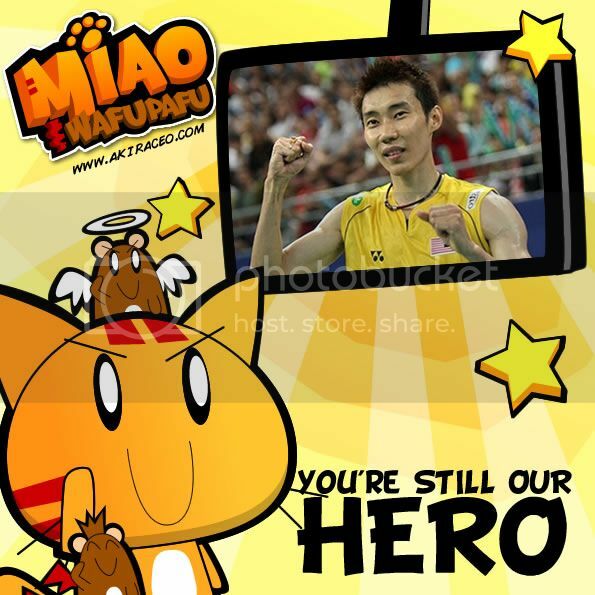 Although he lost his gold medal, but still won our hearts. 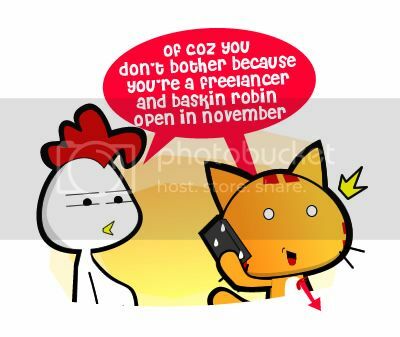 Btw, Baskin Robbins opening in Kch soon? Yep i think gonna open 2 or 3 stores this year. Nonetheless, i felt that dato Lee has given us a beautiful game. he is forever my champion! WE IZ SUPPORT DLCW FOREVERRRR! i think this was not malaysia’s first and only medal in the olympic though… it’s the fifth. DLCW, very proud of you~!!! the effort and the hearts that count. Sadly there’s a lot. @@ i saw the photos on fb the other day on the free ice cream queue. yup , agree with you . sure long queue lor, i won’t go lor if like that XD time worth much more. oh it’s Pandelela Rinong Pamg. Pamg is her father’s name. Yep, from Bau, Kuching. One of the towns in Kuching.